Israeli security forces uncover Hamas terror cell planning to kidnap IDF soldier or Israeli civilian from Samaria bus stop. 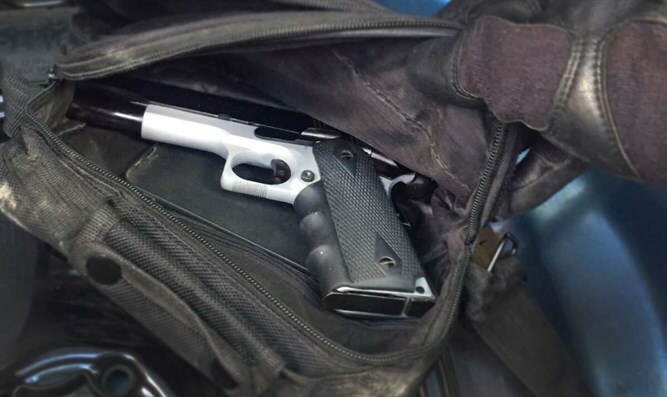 The Israel Security Agency (Shabak) and Israel Police recently foiled an attempted kidnapping in Samaria, it was revealed Wednesday. The kidnapping was planned by Hamas, and was scheduled for the Hanukkah holiday. During October and November, Shabak discovered that members of a Hamas terror cell from Kafr Tal, near Shechem (Nablus) were planning a terror attack. In the course of the investigation, it was discovered that the cell was planning to kidnap an IDF soldier or a Jewish civilian from a bus stop at one of the central junctions near Shechem in Samaria. Mouad Ashtiya, 26, has been identified as the cell leader. Ashtiya planned the attack, acquired weapons, and enlisted Mahmad Ramadan and Ahmad Ramadan, both 19, to join the cell and aid the attack. The three gathered exact intelligence about the routes, bus stops and central junctions, and were planning to disguise themselves as Israeli civilians to cause the abductees to enter their vehicles. Ashtiya inquired about various Shechem-area apartments which could serve as hiding places for the victims while Hamas held negotiations. All three members were in contact with Hamas terrorist Oumar Atzeida, who serves as a Gaza commander and works to advance terror activities and move money from Gaza to Judea and Samaria. The Hamas command center in Gaza provided funds and guidance, and the purpose of the planned kidnapping was to advance negotiations for the release of jailed Hamas terrorists. During the Shabak interrogation, the terrorists provided information about the weapons which were intended for use in the attack. Among other things, Shabak confiscated a pistol, stun gun, and gas spray; the cell planned to acquire additional weapons before the attack. The results of the investigation have been transferred to the IDF's Samaria Prosecutor's office, which will decide whether or not to indict the suspects.